I’m not a huge Matisse fan but The Cut-Outs has the makings of being a blockbuster show (timed tickets and great reviews from previous venues). So, I went while it was in preview to beat the crowds and boy was I pleasantly surprised! This show has the feeling of a wonderful summer day. It’s warm, colorful and cheerful. 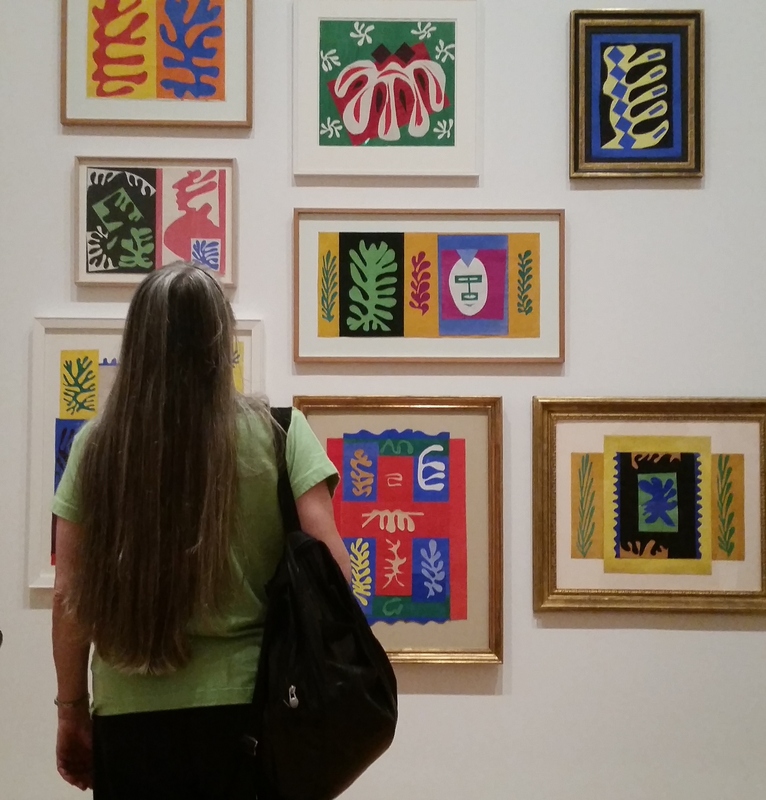 The Cut-Outs were done towards the end of Matisse’s life when he was infirm. This show is more about his process which is as important as the work itself. He began these pieces by specifying colors and then having assistants paint paper with gouache to his specifications. For the smaller works Matisse cut, pinned and pasted the paper by himself. But as the works got bigger (and I’m talking enormous) he required additional assistance. Assistants held the paper which Matisse cut into with a tailor’s scissors. Then, from his bed, he would direct where on the wall (which filled in for his canvas) the shapes should be placed. This sounds simple but, when you see Matisse at work, in a film showing in one of the galleries, you see a man seeming to be possessed with a vision.